Thotupola Kanda is the third highest mountain in Sri Lanka and the highest point of which is 2,357m above mean sea level. The mountain belongs to Nuwara Eliya District of Central Province and it is located in the Horton Plains. The name “Thotupola” (in Sinhala) has the meaning of “port (or airport)” and there is a belief that, this name related to the legend Rama-Ravana. 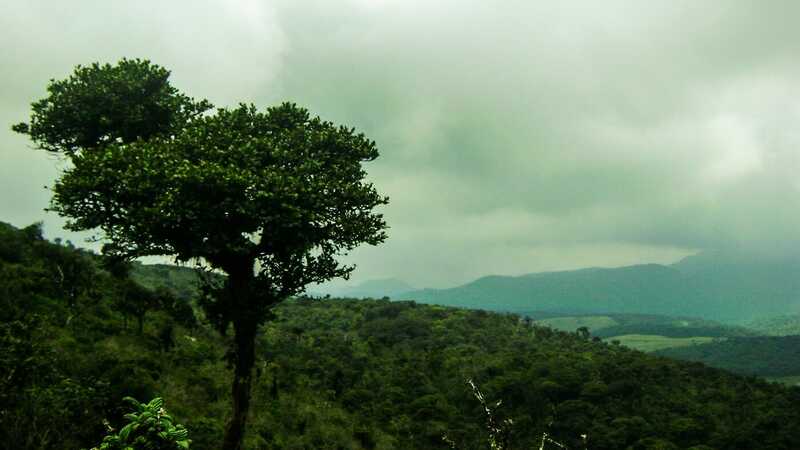 According to the legend the king Ravana (Sri Lankan) has used some kind of flying machine and he has landed it in this mountain while kidnaping of Sita (Rama’s wife) to take revenge from Rama. 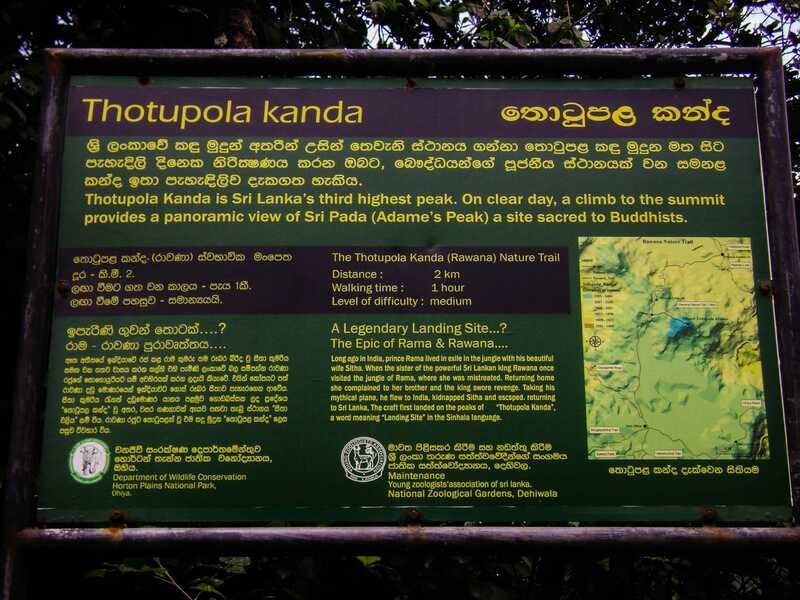 Thotupola Kanda is the third highest mountain in Sri Lanka and the highest point of which is 2,357m above mean sea level. The mountain belongs to Nuwara Eliya District of Central Province and it is located in the Horton Plains. The name “Thotupola” (in Sinhala) has the meaning of “port (or airport)” and there is a belief that, this name related to the legend Rama-Ravana. According to the legend the king Ravana (Sri Lankan) has used some kind of flying machine and he has landed it in this mountain while kidnaping of Sita (Rama’s wife) to take revenge from Rama. The Ambewela New Zealand Farm is one of the dairy farms managed by “Lanka Milk Food” company. The farm is located in Nuwara Eliya District of Central Province, Sri Lanka. It is open to visitors and you can see the milking process at 12.30 pm every day. The road to the farm traverse through a landscape with eye-catching grasslands. The Gregory Lake is one of the main tourist attraction in the Nuwara Eliya city. The lake was built during the period of British Governor William Gregory in 1873. You can experience a boat ride or you can hire a Swan paddle boat. This is a nice place to have evening walk. The Victoria Park is located in the center of the Nuwara Eliya City. It is a quiet place inside the busy city of Nuwara Eliya. The park has formally named in 1897 to commemorate Queen Victoria‘s 60th anniversary. Originally the park has been the research field of Hakgala Botanical Garden. The park has established by planting of its first tree, an Oak, by a visiting German Princess. This is a very beautiful waterfall located in the Nuwara Eliya District of Central Province, Sri Lanka. The waterfall is a part of the Kothmale Oya, a tributary of the Mahaweli River. The St. Clairs Falls can be easily seen from the Avissawella – Hatton – Nuwara Eliya road (see the map for the most suitable viewpoint).